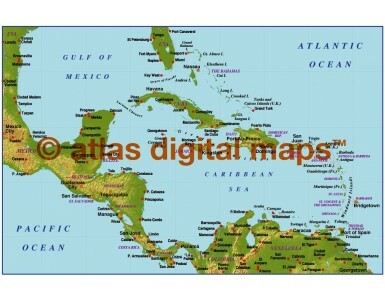 Royalty free relief map of the caribbean. 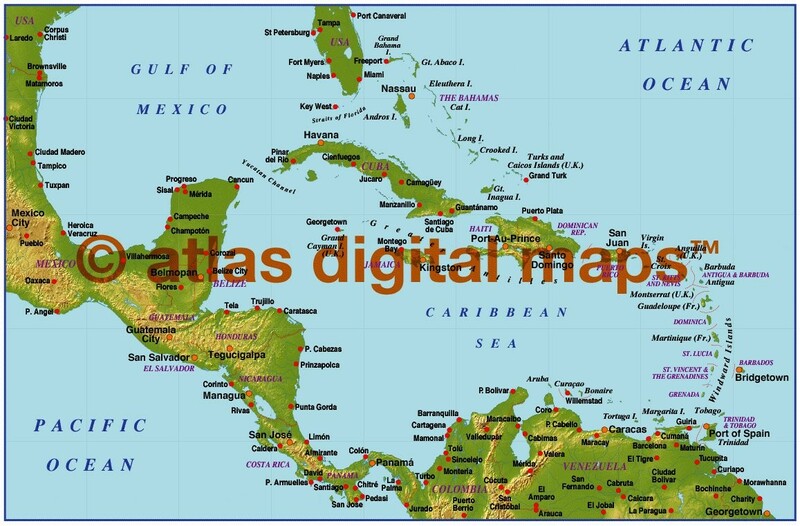 Data includes coastlines, borders, capital cities and major settlements, island names and vector sea mask (for easy changes to sea colour). Includes a placed (linked) tiff file showing relief in medium colours. Available in Illustrator CS. A low resolution 300dpi medium Land relief map. Fully editable, layered small scale map in Illustrator format. Layers include: Coastlines, country boundaries, capital cities, major settlements, country names, sea/ocean names, rivers, major lakes. Formats: Choose from Illustrator CS (for use with Illustrator CS1 to CS6 or later) or coming soon, Adobe Acrobat Editable PDF 6.0 format. Our maps in PDF 6.0 format are fully layered within Acrobat but can still be opened and edited in Illustrator CS4 -CS6 while retaining full layering with 100% editability. Authors notes: This map is updated for 2013. Suitable for use around A4 size. 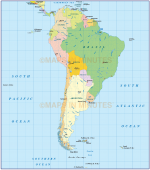 If you would prefer to purchase a set of Regions or World maps please visit our World Maps Collections category.